Find and delete duplicate files on your computer with Easy Duplicate Cleaner. With Easy Duplicate Cleaner you can easily free up gigabytes of hard drive spaces that was being taken up by duplicate files that you don't need. Easy Duplicate Cleaner comes with an intuitive wizard interface and powerful search features that will help you find and remove duplicate photo images, document files, video files, music files, web files, archive files and more. Just select the search folder and click on the scan button and you are ready to go. Easy Duplicate Cleaner will do the rest and summarize the search result including the number of duplicate files, duplicate groups, spaced used, files found and etc. After scanning, the duplicate files will be organized according to duplicate groups and you can manage the duplicate files by sending them to recycle bin, permanently delete, export to clipboard or text files, move, copy or rename them. Organize and speed up your computer now. 1) Find and delete duplicates files from Adobe Acrobat Files, Photo Images, Archive Files, Ms Office Files, Music Files, Open Office Files, Text Files, Video Files, Web Files and more. 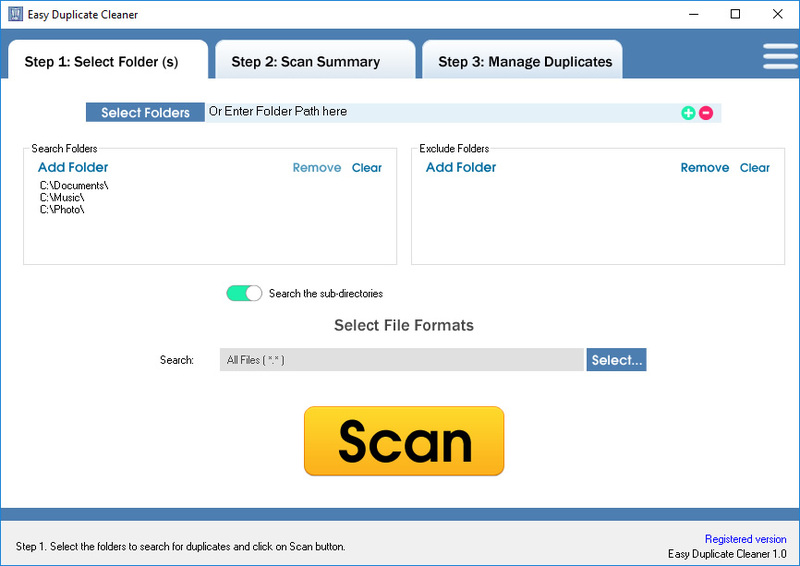 4) Scan summary with details like total duplicate files, total duplicate groups, space used, files found and etc.